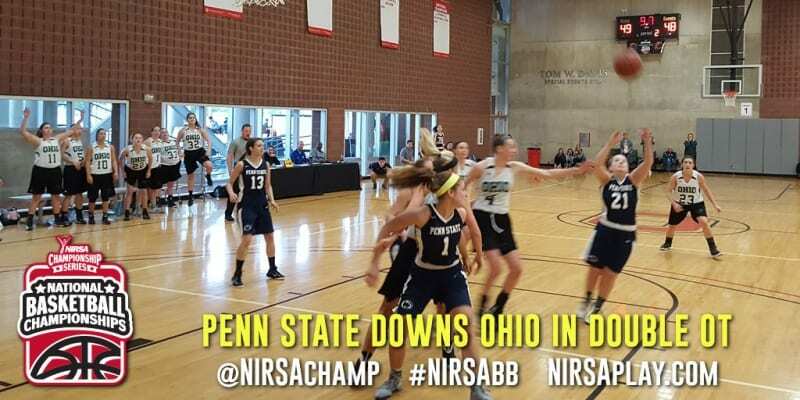 Three free throws in the final minute of the second overtime helped Penn State edge Ohio 51-48 in women’s club pool play this morning. Jessica Eason hit a free throw to put the Nittany Lions up 1 with 56.7 left. 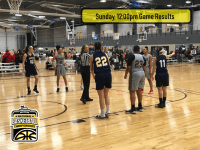 After Stephanie Garafolo pulled down a key defensive rebound for Penn State, teammate Hailey Wilwohl pushed the margin to 3 with two free throws with just 4.9 seconds remaining. The Bobcats’ last-second three-pointer to tie was off the mark to give Penn State the win. Wilwohl led Penn State with 14 points and 8 rebounds and Jessica Eason added 12 points. 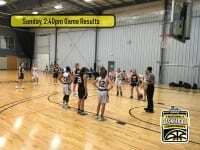 Erica Buls had 9 points and Margo Camp & Jordan Elliot had 8 each for Ohio. UC Davis’s Matti Haglund hit the shot to send its women’s club pool play game with Towson to overtime, then Michelle La Haie nailed the game-winning three pointer at the buzzer to propel UCD to a 46-45 victory. La Haie led the team with 10 points. Ariyanna Cashen added 8 points and 8 boards for the Aggies. 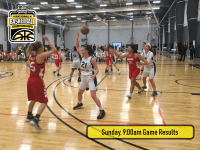 For Towson, Miche Cheung had 8 points, 6 rebounds, and 2 steals on the day. 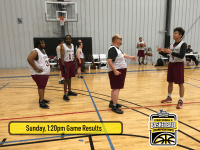 UCF and Arkansas Tech battled back and forth through their men’s intramural pool play match-up. A pair of free throws and a second-chance jumper by Kylon Higgins pulled Arkansas Tech to within 1 at 49-48 with 34.2 seconds left. But, UCF’s Kepler Francois was solid from the free throw line, going 8-for-8 in the final half minute to lead the Knights to a 57-52 victory. Francois led the team with 17 points while Killian Ritchie added 15 on five 3-pointers. Michael Perry had 12 points and 4 rebounds for Arkansas Tech in the defeat. Meggie Borngesser had 17 points and 3 rebounds to lead Air Force past Georgia Tech 38-29 in women’s club pool play. 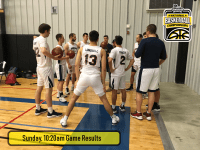 And, Grant Moeves hit for 21 points and grabbed 7 rebounds while teammate Kellen Smith notched a double-double with 16 points and 13 rebounds as Northern Kentucky downed Georgia Southern 66-60 in men’s intramural pool play.